(updated) with a few additional rare recordings! 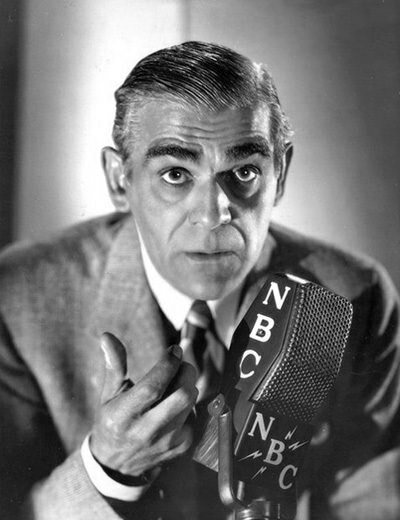 Best known for his roles in horror films, Boris Karloff was billed as "Karloff the Uncanny." "Cat Wife Starring Boris Karloff"
It was during this time, when Karloff was in Los Angeles for a small role that he got, that James Whale gazed upon Karloff while he was eating, and was drawn to Karloff's unusually large and misshapen head--Hollywood had its FRANKENSTEIN! While filming the movie, the studio wanted to keep Karloff's identity secret. Even during the credits, "The Monster" was accredited to "?." 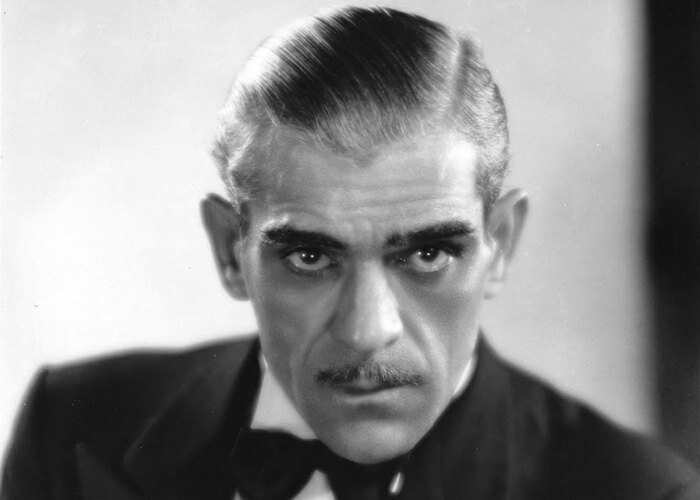 When the movie broke out, 44-year old Karloff stole the show from Colin Clive, the movie's lead role. Karloff went on to create more scares throughout the 1930s. When Hollywood's Monster craze died out, Karloff returned to the stage. 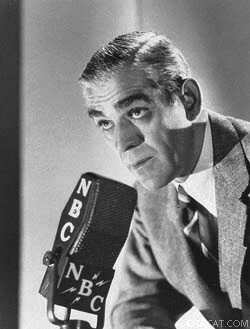 It was in 1956 that Karloff received a Tony nomination for his role in "The Lark." Interesting note: Karloff is the great-grandnephew of Anna Leonowens, who is the real life inspiration for the widely read book, and subsequent movie, "Anna and the King." Boris Karloff's first role on the silver screen was as a $5-a-day extra as a Mexican soldier in the 1919 silent film, His Magistry the American. This collection embodies his many guest appearances and roles in various old time radio programs including Bergen & McCarthy, Creeps by Night, Duffy's Tavern, Inner Sanctum, Information Please, Jack Benny Program, Lights Out, Martin and Lewis, NBC University Theater, Suspense, Theater Guild on the Air and many others. See also Peter Lorre Collection, Orson Welles, Bela Lugosi, and Vincent Price Collection and the Boogeymen in Comedy: Screamstars Playing for Laughs Collection. Be the first to comment on "Boris Karloff"